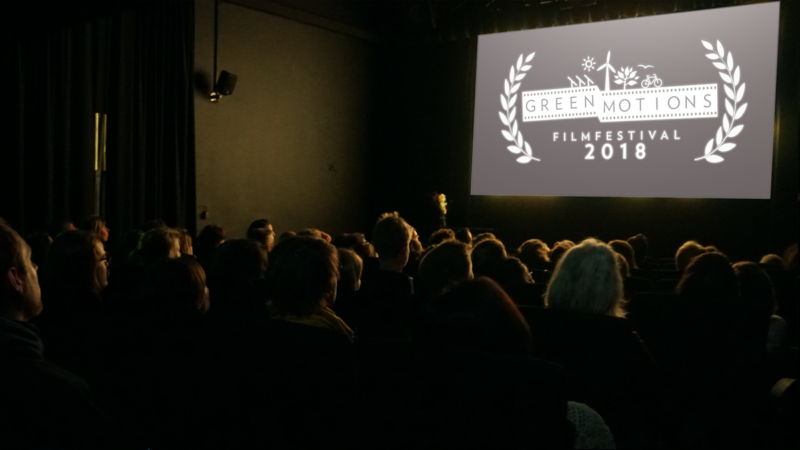 The 5th edition of the International Greenmotions Film Festival, was a great success! Between the 15 and the 18th of November nearly 2000 people visited the different events organised in the frame of the festival says the organizer Greenmotions e.V. At the award ceremony on Sunday evening 18.11.2018 three movies were awarded with four prizes for the first time this year! The short film “El Origen” by José A. Campos won the award for best short movie. The prize was given by the ECO Foundation for Climate and Environment and by Greenmotions e.V. the short movie about a technological future in Spain was voted as the winner by a jury of experts among 131 submissions from all around the world. The jury consisted of the Freiburger filmmaker Sigrid Faltin, the film editor Nina Bärmann, the journalist Bernward Janzing and Carolin Salvamoser, member of the board of trustees of the Georg Salvamoser Foundation. The special prize “Millennials in Motion” went to the Texan documentary “Do not frack with Denton” by Garrett Graham; a portrait of activists in Denton, Texas who fight against fracking practices in their county. The film was chosen by team members of the Greenmotions e.V which also sponsored the prize of 1000 Euro. The winner thanked the Film festival with a video, which was shown at the award ceremony. The documentary “The Reluctant Radical” by Lindsey Grayzel received two awards. The portrait of environmentalist Ken Ward, who uses civil disobedience as a last resort against climate change, celebrated Germany’s premiere at the festival. The film jury, consisting of filmmakers Daniela Schaffart, Eva-Maria Kuehling, Shane McMillan and Vincent Schulist awarded the film for its impressive proximity to the protagonist, its authenticity and its professional realisation. The audience was equally impressed by the extraordinary work of Lindsey and awarded the movie with the best rating. The jury prize consists in a voucher of the company ABT Cine in the equivalent of 10,000 € for rental use of professional camera equipment. The Public Award worth EUR 1,000 was sponsored by Naturstrom. During the award ceremony, the filmmaker Lindsey Grayzel was connected via Skype and directly informed about both prizes! She received the news with great enthusiasm and joy that were well shown on the big screen!